Press releases announcing the latest company news, features in the international wine press, brand news, it's all here! NEW YORK, NY – March 12, 2019 – Frederick Wildman and Sons has entered into a partnership with Cantine Riunite & CIV. Effective June 11, 2019, Frederick Wildman will provide sales and marketing services for the Cantine Riunite & CIV portfolio throughout the United States along with Bolla and Fontana Candida from GIV. Founded in 1934, Frederick Wildman is recognized as one of North America’s preeminent importers with a portfolio of fine wines and specialty spirits. Cantine Riunite started producing wine in 1950 as a consortium in the Province of Reggio Emilia and has since grown to be one of Italy’s most admired wine producers. “This new relationship brings diversity to our outstanding portfolio along with new resources and investment for further transformational growth,” said Frederick Wildman President and COO Marc Hirten. Frederick Wildman and Sons will maintain the current best in class distributor partnerships such as Southern Glazer’s Wine & Spirits and MS Walker, plus add the highly successful Riunite network including Republic National Distributing Company, Breakthru Beverage Group and Empire Merchants. Frederick Wildman and Sons will maintain its existing fine wine division while adding a dedicated division for the newly represented brands. This will allow Frederick Wildman and Sons to continue calling on the premier dining segment along with a significant increase in focus on independent retailers and leading national accounts in both the on-premise and off-premise channels. For over 80 years Frederick Wildman’s fine wine portfolio has gained the respect of sommeliers, leading restaurateurs and fine wine retailers across the US. Our fine wine division will be enhanced through incremental resources including the addition of connoisseur wine ambassadors. This will allow us to further meet the needs of the preeminent fine wine retailers everywhere. In 1950 a group of 9 wine producers from the Province of Reggio Emilia set up Cantine Cooperative Riunite. Eleven years later, 4 wineries from the Province of Modena followed their lead and founded CIV. In 2002, Cantine Riunite bought Cantine Maschio, leading Prosecco producer ranking among the top 3 in Italy. Cantine Riunite & CIV was founded in 2008 and became the hub of Lambrusco production and one of Italy’s leading wine companies. With 4,500 hectares of vines in Emilia and Prosecco areas, Cantine Riunite & CIV is the undisputed leader in the production of sparkling and “frizzante” wines in Italy. Cantine Riunite & CIV includes globally recognized wine brands Riunite, Cantine Maschio, Fratelli Cella, Albinea Canali and Movendo. For more information, visit www.riuniteciv.com. Icons of Gin UK 2019 has awarded David Wilkinson as the proud recipient of ‘Distiller of the Year’, as well Edinburgh Gin’s Brand Home has received ‘Distillery Attraction of the Year’. Drinks International has named Pol Roger as the World’s Most Admired Champagne Brand in 2019, a magazine which ranks champagne brands from 1-30 based on the votes of the world’s top wine experts. Cuvaison and Brandlin Vineyard join the acclaimed importer’s global portfolio of wines. NAPA VALLEY, Calif. – January 01, 2019 – Cuvaison Estate Wines, which includes Napa Valley’s iconic Cuvaison winery in Los Carneros, and Brandlin Vineyard on Mount Veeder, is excited to announce that it has entered into a sales partnership with Frederick Wildman and Sons. Effective January 1, 2019, Frederick Wildman will provide sales services for the Cuvaison Estate Wines portfolio throughout the United States. Founded in 1934, Frederick Wildman is recognized as one of North America’s preeminent importers, with a portfolio that includes Gruppo Italiano Vini, Champagne Pol Roger, Famille Hugel, Domaine Olivier Leflaive, Jean-Jacques Vincent/Château Fuissé and Domaine Pascal Jolivet. As part of the strategic sales partnership, Cuvaison Estate Wines will realign its current distributor network with Wildman’s national network of distributors, which includes Southern Glazer’s Wine & Spirits in more than 30 states. Cuvaison Estate Wines Vice President of Sales Steve Richards will continue to oversee the company’s international sales, while working closely with Frederick Wildman’s acclaimed team to expand Cuvaison Estate Wines’ reach in the North American wholesale market. In the region of Alto Adige in northeastern Italy, wine producers are often jack-of-all-trades, as they work with a wide range of grape types, most of which are ideally suited to the cool climate. You have famous varietals such as Pinot Grigio and Pinot Nero (known as Pinot Noir everywhere else in the world), but you also have Lagrein and Schiava, two red varieties you don’t find anywhere else. Finally, many producers also craft notable versions of Pinot Bianco, a nice everyday alternative to Pinot Grigio, and Gewürztraminer, one of the most distinctive whites from any wine region. The region is a nice mix of independent producers along with cooperatives, companies where the grape growers are also members. One of the finest producers belonging to the former category is J. Hofstatter, situated in the town of Tramin. Martin Foradori Hofstatter is the proprietor/winemaker here, and he’s an engaging, positive individual who has been one of the most consistent vintners in Alto Adige for more than a decade. Given that this is Alto Adige, I’d say that Hofstatter deserves more attention for the remarkable quality of his wines; perhaps if he were making wine in Piemonte or Toscana, he’d be better known. No matter, his wines are of excelllent to outstanding quality year in and out. Watch all the winners, finalists and honorable mentions & find out more! This grand opening is the culmination of two full years of renovation works which began in February 2016. Nuits-Saint-Georges, July 2018—On the 18th and 20th of June, Erwan and Eve Faiveley unveiled their new ‘38’ vat house in Nuits-Saint-Georges. The festivities catered to partners, local customers, fellow winemakers and the resident artisans who contributed to the project. As Erwan Faiveley explains, “this grand opening is the culmination of two full years of renovation works which began in February 2016.” ‘38’ refers to the new address of the cellars – 38 rue de Tribourg, Nuits St. George. The ‘38’ building, as it is called, dates to 1823 and it previously served as a winery for the Crémants de Bourgogne production. It has housed Domaine Faiveley’s wines now for over 40 years. Chalon-based architect, Gilles Gauvain, was entrusted with the task of opening the vat house onto the vineyards and restoring the building to the style of its era, an era of industrial revolution and railways. This Eiffel-inspired style has been combined with state-of-the-art vinification facilities. Renovating the ‘38’ was the last step in a three-stage process that was implemented by Erwan Faiveley over the course of the last 11 years, just about when Erwan took over the business from his father. He made significant technical investments in Nuits-Saint Georges in 2007 to improve vinification facilities. To ensure consistently high quality, the second stage of the project involved fully renovating the Mercurey vat house in the spring 2016, and hence allow the domain style to come into its own and showcase their deep, smooth and intense wines. As we approach the Domaine Faiveley’s 200th anniversary, the Faiveley family is happy and proud to make the ‘38’ an integral part of the Burgundian landscape. The ‘38’ in figures translates to a total of 14,299sq. ft. of renovated premises, to include: 6068sq. ft. for the Grand Cru and stainless-steel vat houses; a reception area; a 1500sq. ft covered courtyard, and over 6800sq. ft of cellars with a storage capacity for up to 2700 barrels! The Grand Cru vat house offers 36 ft. ceilings and houses 32 temperature-controlled, truncated wooden vats. SANTI, Illasi, Verona — The Santi winery under the direction of celebrated winemaker, Cristian Ridolfi, has just launched a new wine, ‘VENTALE’, a Valpolicella Classico Superiore DOC. The name Ventale means the winds and is a tribute to the winds that flow over the valleys of Valpolicella. Ventale is predominantly made of Corvina, the grape which Ridolfi feels gives the wine its elegant, fruity style. The blend is 80% Corvina 10% Corvinone and 10% Rondinella from vineyards cultivated on coarse-textured calcareous marl soils. Grape bunches are hand-picked in the second week of October and fermentation takes place in truncated conical oak barrels called Tini, at a temperature of 22-24˚C, for about three weeks with unscheduled manual pumping over from barrel to barrel. In keeping with Ridolfi’s philosophy to use local woods to enhance Santi’s wines, the wine is aged for 18 months in 500L casks made up of 70% oak, 20% native chestnut and 10% native cherry-wood. Ruby-red in color with purple tinges, the 2016 Santi VENTALE has a fragrant and intense aroma with hints of ripe cherry, blackcurrant, blackberry and green pepper, followed by hints of cocoa and dried fruit. On the palate, its vibrant juiciness is accompanied by velvety tannins. The wine has a lingering and tangy aftertaste. Founded in 1843 at Illasi in the province of Verona, the Santi winery dedicated itself right from the beginning to classic Veronese wines such as Amarone and Valpolicella and has always been distinguished by the quality level of its wines and for its attention to the most advanced vinification techniques. Ridolfi perfected his Valpolicella and Amarone skills at Bertani, where he stayed until 2015. Today, back at Santi, Ridolfi has a detailed knowledge of the Veronese wine lands—their origins, the terroirs as well as the particularities of what exactly has been developed to obtain the best interpretation of every valley. The deep knowledge of the local winemaking tradition and of the terroir where he works, has enabled Ridolfi to identify a clear winemaking philosophy that has become a cultural identity. POL ROGER CHAMPAGNE SPARKLES WITH PRINCE HARRY AND MS. MEGHAN MARKLE! Champagne Pol Roger is delighted that the Pol Roger Brut Reserve Non Vintage was served at the reception at Windsor Castle following the wedding of His Royal Highness Prince Harry of Wales to Ms. Meghan Markle on 19th May 2018. Pol Roger, founded its House in 1849 in Aÿ, its native village. For the next 50 years and until his death in 1899, he carved out one of the most flattering reputations in the select circle of the leading champagne brands. Export sales developed rapidly, especially in England where the dry style is preferred. After almost 170 years, Pol Roger is proud to have remained fiercely independent and unrivaled in its reputation for quality by handcrafting champagnes internationally acclaimed by lovers of fine wines. Considering Pol Roger is very often referred to as “the most British of champagnes”, being granted the Royal Warrant is both very consistent with who we are and the utmost privilege the House could ask for. Let’s not forget that the very first bottle of Pol Roger was not sold in France but on the other side of the Channel! Were it only for historical reasons, Pol Roger’s fate was to be linked with the UK. And Sir Winston Churchill himself would not disagree! Frederick Wildman and Sons, Ltd. Is proud to announce its appointment as national importer for Cantine BIGI, wines from Orvieto. The addition of the notable Orvieto estate, owned by Gruppo Italiano Vini (GIV), accompanies the already established 21-brand Italian estates Wildman portfolio. Cantine BIGI was founded in 1880 and owns more than 600 acres planted to classic white and red grape varieties; the former most notably Trebbiano, Grechetto and Drupeggio, among others. Cantine BIGI provides authentic white and red Umbrian wines, with each bottling maintaining typicity in a modern and approachable style. Casimiro Maule, departing chief winemaker and director of Nino Negri, began his career at the historical winery in 1971. Maule was one of many young winemakers who vied for the job and was chosen by Sciur Carluccio (Carlo Negri), then owner of the winery. Known as one of the most respected and admired oenologists in Italy, Casimiro was born in the Trento province but has worked all his professional life in Valtellina. He has 40 harvests under his belt spent amongst the vines, notwithstanding his numerous awards from around the world, including Winemaker of the Year 2007 from Gambero Rosso and eight ‘Tre Bicchieri’ honors received for the intrinsic value of the traditional Sfursat method that he championed with the ‘5 Stelle’ Sforzato di Valtellina DOCG. Despite Casimiro’s numerous accolades, he has remained feet firmly planted on a ground he knows to be so difficult to work. The heroic nature of the viticulture in Valtellina (the use helicopters, forced manual techniques, most terraced vineyards), and the unique character of the Chiavennasca clone of Nebbiolo that Casimiro brought to the world stage, are just a few of the efforts Maule has brought to Valtellina which now enjoys a place on the viticulutral (world) map. Frederick Wildman and Sons, LTD., announces the addition of consumer-marketing veteran, Derek Blackburn to SVP, Marketing. Blackburn’s primary responsibility will be to oversee consumer, shopper and trade activities with Wildman’s already established team of professionals in the sales and marketing department. Marc Hirten, President, Frederick Wildman and Sons, stated, “I am pleased to add Derek to our team and take the marketing of Wildman’s brands to a next and new level. Derek brings unsurpassed skills in leadership, strategic marketing and management that will lead us to new grounds in the promotion of our core brands and long-term business goals.” Blackburn was most recently SVP at BMC Strategic Associates, a leading beverage-related management consulting corporation. He led major projects aimed at identifying key strategic issues, such as marketing and competitive assessment, consumer shopper insights and brand building. Prior to BMC, Derek spent time in the wine and spirits industry with Diageo as SVP and GM in the US as well as Canada. Before entering the lucrative wine industry, Derek worked at Colgate-Palmolive in sales and marketing. Derek Blackburn’s appointment is effective, March 26th, 2018. Frederick Wildman and Sons, LTD., announces the promotion of Martin Sinkoff to VP, Director of Education, Fine Wine and Spirits. In addition to this primary responsibility, Sinkoff has been named National Director of Bordeaux Sales. Martin Sinkoff has been instrumental over the past ten years building our portfolio, helping to secure our valued supplier relationships and helping our sales and marketing teams grow. Both positions are considered critical to delivering our future strategy, vision, and mission. Martin’s appointment is effective, April 1, 2018. Altia, the parent company to O.P. Anderson, has partnered with Frederick Wildman and Sons to introduce their well-known Aquavit to the US market. O.P. Anderson Original will be launched in the USA in the beginning of 2018. The tradition of adding herbs in spirits started out in herbal medicine and came to Sweden in the late 16th century. People began to drink this spiced aquavit for non-medical reasons and the foundation was made for a tasty Swedish tradition. In 1891, Carl August Anderson launched his own aquavit version, named it O.P. Anderson after his father, and seasoned it with caraway, aniseed and fennel, and matured in oak barrels for eight months. This is one of the oldest aquavits on the Swedish market and it is still one of the most popular. Since 2002, O.P. Anderson has been made from all organic ingredients. Pascal Jolivet, 55, has the animated energy of someone constantly looking for a new thrill. His namesake brand celebrates its 30th anniversary this year, and the vigneron is showing no signs of slowing down. Jolivet comes from a wine family. His grandfather Lucien and great-uncle Louis had both been chefs de cave at Pouilly-Fumé’s Château de Tracy and created their own négociant company in 1926. The young Pascal was working at the Pommery Champagne house when his father, Jacques, suggested he take over a small négoce firm he had bought a few years before. In 1987, at age 25, Jolivet got his feet wet as an entrepreneur in the wine business. Soon, he wanted his own vines. He built a winery in 1990 and, in 1993, bought a 15-acre vineyard in Bué, just outside Sancerre, from his cousins. He has gradually expanded over the years and now owns around 123 acres, both in Sancerre and Pouilly-Fumé. Pascal Jolivet now makes more than a dozen cuvées. The higher-end, single-vineyard bottlings showcase the various terroirs of both Sancerre and Pouilly-Fumé. The limestone Sancerre Les Caillottes and clay-limestone Pouilly-Fumé Terres Blanches are both from 40-year-old vines. Two unfiltered cuvées—Sancerre Sauvage from limestone soils and Pouilly-Fumé Indigène from silex—are at the top of the range. The former was the first Jolivet wine to be made organically. The estate makes two other organic wines: Le Chêne Marchand, from limestone in Sancerre, and Le Roc, from a small silex plot also in Sancerre, which is fermented in one-third cement egg and two-thirds stainless steel. As of this year, Jolivet plans to convert the entire single-vineyard range to organic winemaking, a continuation of his founding philosophy. From the beginning, he has strongly believed in indigenous yeasts, long natural fermentations and minimal amounts of sulfur. The wines age one year on the lees, none of it in oak, and none of the wines go through fining. Looking around the winery, gravity-operated from sorting to bottling, one will find a cement egg here, an amphora cuve there. Jolivet is also in the early stages of trials with biodynamics. A new face at the estate indulges him in his thirst for experimentation. In 2013, Jolivet’s longtime enologist quit suddenly, two months before harvest. Jolivet recalls saying to him, “OK, but you have to help me find someone, and they need to be better than you. And I’m not going to be around forever, so they need to be better than me too.” Valentina Buoso, 31, proved to be a perfect match. She had experience in Chile, Australia, New Zealand, Mendocino and Oregon and had completed a thesis on indigenous yeast. She has been with the domaine ever since. MARC HIRTEN TO LEAD FREDERICK WILDMAN AND SONS, LTD.
New York, New York – November 1st, 2017— Marc Hirten has been named the new President and COO of Frederick Wildman and Sons as of November 1st. Hirten comes to Wildman from William Grant & Sons where he was General Manager of Commercial Strategy. He has held positions previously with Moet-Hennessy and Diageo that have spanned across general management, strategy, sales and marketing. On behalf of the French shareholders, Pascal Jolivet commented, “we are looking forward to working with Marc and successfully strengthening the company’s portfolio operations and national growth and distribution. As a seasoned veteran in the wine and spirits industry, Marc is, without a doubt, the right person to lead Wildman to continued success,” continued Jolivet. Marc’s role will be to oversee sales, marketing, operations, finance, supplier and distributor relations as well as Wildman’s dedicated wholesale division. He will serve as the main point of contact for Frederick Wildman and Sons and will represent the company in all professional business capacities. Working alongside Marc, are Bill Seawright, (National Sales), Martin Sinkoff (Marketing), Jim DiCicco (Finance), Greg Taylor (Wholesale Operations), and their respective teams. Additionally, John Sellar will supervise the familiar world of Fine Wines and Spirits as Senior V.P., Fine Wines and Spirits/Business Development. Marc resides in Fairfield, Connecticut with his wife Lisa of 32 years and are the parents of two adult children. He is a California native and spent many years in San Francisco and Napa Valley. He graduated from Santa Clara University with an Economics degree. Marc enjoys music, the beach, boating, fishing and playing paddle tennis. FAMILLE HUGEL DAY, NOVEMBER 4th, 2017 – EVERYWHERE and ANYWHERE! A HUGE(L) DAY FOR WINE AND TURKEY LOVERS NOT TO BE MISSED! Everyone can join in by posting a fun photo to Instagram, Twitter and Facebook by simply adding the hashtag #hugelday to a post. From the FAMILLE HUGEL to yours—Cheers! Frederick Wildman and Sons, Ltd., is privileged to announce its appointment as national importer for Weingut Dr. Fischer, the famed wines from Saar River, Germany. The addition of the prestigious estate, owned and managed by winemaker Nik Weis and Martin Foradori Hofstatter, enriches Frederick Wildman’s stellar, yet small, German-estate portfolio. “We are delighted to expand our German portfolio with the wines from such an esteemed producer, Weingut Dr. Fischer”, said Wildman President, John Sellar. “German wines enjoy a special place in the fine wine market. We are glad to bring Dr. Fischer back to our large base of restaurant customers and fine wine merchants in the United States”. In March 2014, Winemaker Nik Weis from Weingut St. Urbans-Hof on the Mosel and Martin Foradori Hofstätter from Weingut J. Hofstätter, Alto Adige, Italy, seized the welcome opportunity to participate in a joint ownership and revitalization of the historic Weingut Dr. Fischer-Bocksteinhof. The wines of Hofstatter are also imported by Frederick Wildman and Sons. “I am delighted to have both brands now represented by Frederick Wildman and Sons in the United States” said Martin Foradori Hofstätter. “The company’s vision of the market, their experience with Rieslings from Germany, and my relationship with their management and their portfolio, made our decision an easy one”. The historic Weingut Dr. Fischer estate is in Ockfen, a small village in a tributary valley near the confluence of the Saar and Mosel rivers in far western Germany. Written records of winemaking in Ockfen date back to the Villa Occava convent, which was founded in AD 975; viticulture, however, was brought to the Mosel-Saar-Ruwer region by the Romans more than 2,000 years ago, according to wine historians. The Dr. Fischer estate is a member of the prestigious vintner association Verband Deutscher Prädikatsweingüter (VDP) and its world-famous Bockstein vineyard has been meticulously demarcated and classified by the association as a “Grosse Lage”, the equivalent of a French Grand Cru vineyard – the peak of the VDP quality classification system. The Dr. Fischer-Bocksteinhof estate vineyards are planted exclusively with Riesling. In another project, Nik Weis and Martin Foradori Hofstätter, produce a wine from sourced grapes from the Mosel region called Steinbock. A “Bock” means ‘wild mountain goat’ in German, and “Stein” is a rock; the name reflects the fact this animal inhabits the steep slopes on the Mosel’s vineyards. Weingut Dr. Fischer wines will be available as of September 2017 through Wildman’s network of national distributors. Combined with the young 2015s now arriving in the United States, these are the most exciting back-to-back vintages for white Burgundy since the 1995 and 1996 duo two decades ago, or 1985 and 1986 a decade before that. If you love white Burgundy, buy as many of the top wines from these two years as you can. In terms of overall quality, the 2014 vintage earns a classic rating of 96 points, while the potentially classic 2015 harvest receives a preliminary rating of 93-96 points until more wines are reviewed. From Chablis, the Billaud-Simon Chablis Les Clos 2014 (95 points) offers a core of peach, apple and mineral flavors matched to an opulent frame, and the Domaine Christian Moreau Père & Fils Chablis Les Clos 2014 (95 points) combines freshness and depth with a supple texture, embracing lemon-lime, Granny Smith apple, tart green plum and oyster shell flavors. While the 2014s offer impeccable balance, delineated fruit and vibrant structures, the 2015s are riper, a touch more generous and fleshy, with the best examples possessing ample backbone and acidity for aging. The best 2015s reviewed to date are a trio from Olivier Leflaive: its Chevalier-Montrachet Domaine (96 points), Montrachet (95 points) and Puligny-Montrachet Les Folatières Domaine (95 points). From the Côte Chalonnaise, Domaine Faiveley’s Mercurey White Clos Rochette 2014 (90 points) is a standout value. Summer 2017— FOLONARI, the pioneering Italian brand that helped put Pinot Grigio on the (wine) map and on every household table in the US, has a new look for the Bag-in-Box line of wines! Amore, Italia– Folonari, available starting this September, is the perfect wine for those large-group gatherings! The new redesign—slimmed down size and vibrant colors—comes after on-going quantitative and qualitative research projects that culminated in outlining the definitive demographics for Folonari and for the BIB format. The brand message—Amore Italia Folonari, The Passion of Italy in Every Bottle (or Box)—continues to capture the interest among the 24 – 45-year-old age group as well as the trade and our distributor partners. The new Folonari BIB look will be available through Wildman’s network of US distributors as of September 2017. At a suggested retail price of $19.99 for a 3L box—that’s quite a deal for wine-savvy bargain hunters. Summer 2017 – FOLONARI, the iconic brand which brings ‘the passion of Italy in every bottle’ as revealed in the ongoing ‘AMORE, ITALIA, FOLONARI’ campaign, has partnered this year with the Ovarian Cancer Research Fund Alliance. Joining forces with OCRFA gives Folonari a national platform to reach a larger audience and continue their fight against ovarian cancer with the ‘Time to Teal with Folonari’ campaign. In its 7th annual mission, Frederick Wildman and Sons will continue working together with its trade partners—wholesalers, retailers and restaurants—in promoting Folonari as THE wine that ‘gives back’ to Ovarian Cancer Awareness. Throughout the month of September—Ovarian Cancer Awareness month—Folonari will donate .50c of every bottle sold, to the OCRFA, for up to $10,000. “We are delighted to have partnered with such an important organization dedicated to advancing ovarian cancer research and awareness,” said Francine Kowalsky, AVP/Marketing for Folonari. “The organization has invested over $70 million in research and since 1998, helped secure over $2.2 billion in federal dollars to ovarian cancer research and awareness. We are hopeful that the ‘Time to Teal with Folonari’ campaign and the generosity and participation of the wine trade associated with Frederick Wildman, will help the alliance in raising more funds for this important cause,” continued Kowalsky. Millions of consumers have been reached through wine promotions and tastings with retailers, restaurants and clubs since Wildman began the program began in September of 2010. Eye-catching retail displays and social media campaigns have generated visual awareness and creative activations. In a total of seven years, Wildman has ‘given back’ over $100,000 to this cause. J. HOFSTÄTTER JOINS THE WILDMAN PORTFOLIO! Celebrated Alto Adige Winery Complements the Wildman Italian-Estates Family. Frederick Wildman and Sons, Ltd., is honored to announce its appointment as national importer for J. Hofstätter, wines from Alto Adige. The addition of the prestigious Hofstätter estate, owned and managed by fourth-generation Martin Foradori Hofstätter, further enriches Frederick Wildman’s stellar Italian estate portfolio which spans almost all great wine producing regions of Italy and now includes the important Alto Adige. Josef Hofstätter founded the winery in the year 1907 and is comprised of 124 acres of vineyards on both the west and east sides of the Adige River—the only family estate that can make this claim. With altitudes reaching 800 to 2600 feet above sea level, the estate is blessed with many singular microclimates which allow perfect ripening of both red and white varietals resulting in standout wines from Pinot Grigio, Pinot Bianco, Gewurztraminer, Pinot Noir and Lagrein among others. The Hofstätter wines are some of the highest expressions of Alto Adige’s terroir. The Gewürztraminer from the Kolbenhof estate and the Pinot Noir Vigna S. Urbano from the Barthenau estate are among the first single vineyard wines of these varieties to be produced in Alto Adige and always carry the Italian word “Vigna” (the equivalent to the french ‘cru’) in their name. “I am delighted to be represented now by Frederick Wildman and Sons in the United States” said Martin Foradori Hofstätter. “The company’s vision of the market, my relationship with their management and their portfolio made our decision an easy one”. J. Hofstätter wines will be available as of May 2017 through Wildman’s network of national distributors. Churchill’s Port, the youngest Port Wine Company to be established in 50 years, is launching the “Celebrate New Traditions” international campaign to express the revival of traditions in the modern world. The campaign—Rethink Port Wine—goes in line with the company’s new brand positioning associating a sophisticated, fashionable, easier and more relaxed image of Port Wine—an effort to change consumer’s perception and connection with this traditional drink. The campaign has launched in markets where Churchill’s Port is being sold including Portugal. To appeal to younger and bolder consumers, Churchill’s creative consulting agency—The Asteroid— selected ‘fashion-style’ photography, working with photographer Ricardo Lamego and Art Director Ana Trancoso, who regularly produce campaigns for major fashion magazines, such as Vogue and the like. “Celebrate New Tradition” is another effort Churchill’s aims to challenge consumers to ‘rethink’ moments and traditions associated with Port Wine. WILDMAN WELCOMES CHATEAU MONT-REDON TO THE FAMILY OF WINES! Frederick Wildman and Sons, Ltd., is proud to announce its appointment as national importer for famed Rhône producer and grower, Château Mont-Redon. John Sellar, President, Frederick Wildman and Sons, Ltd.
Château Mont-Redon has been in the Abeille and Fabre families for four generations. The third generation, Jean Abeille and Didier Fabre, together with the fourth generation, Pierre Fabre (winemaker) and Yann Abeille (vineyard manager), are ready to continue the work at the domaine. Patrick Abeille, sales and administrative manager for the French market make it an ‘affaire de famille’. Château Mont-Redon owns 100 hectares of the most perfectly-sited vineyards in Châteauneuf-du-Pape. More than half of their vineyards are planted on the highest plateaus of the appellation—500 feet high. Grenache, Syrah and Mourvèdre grown in pebbly red soil, produce wines that are generous, powerful, tannic and concentrated. Thirteen grape varieties (white and red) can be used to make a Châteauneuf-du-Pape wine and Château Mont-Redon cultivates and vinify all thirteen. The full line of Château Mont-Redon wines is available through Wildman’s network of distributors throughout the US. Pursuing the vision of our namesake founder, Frederick Wildman and Sons is dedicated to sourcing, distributing and marketing the world’s finest wines and spirits to provide profit to our partner suppliers and distributors, a livelihood for our employees and pleasure to wine and spirit lovers throughout the United States. While the portfolio is based on such longtime suppliers as Christian Moreau and Olivier Leflaive, growth will come from recent additions, like Vidal-Fleury, Hewitson and Lungarotti, alongside a growing spirits lineup. “Our portfolio with vital new suppliers complements our roster of stellar and second-to-none shareholders and partners,” says Martin Sinkoff, Wildman’s director of marketing. He’s optimistic about Wildman’s position in an ever-more-competitive marketplace. “We have now the best marketing team in our industry and offer services to our suppliers, sales managers, client distributors and retail customers that include Internet, social media, event planning, creative services, education, brand planning and promotion, competitive set analysis,” says Sinkoff. New York, November 10th, 2016—Frederick Wildman and Sons, Ltd., is delighted to announce it has been selected as “Importer of the Year” by Wine Enthusiast Magazine. Each year, Wine Enthusiast honors individuals and companies that have made outstanding achievements over the past year in the wine and beverage world. Wildman will be featured in the magazine’s special “Best of Year” issue, and will receive the award at a black-tie gala on Monday, January 30, 2017, along with winners from 15 other categories (some yet to be announced), at NOBU Eden Roc, Miami. Pursuing the vision of the company’s namesake founder, Frederick Wildman and Sons, is dedicated to sourcing, distributing and marketing the world’s finest wines and spirits to provide profit to our partner suppliers and distributors, a livelihood for our employees and pleasure to wine and spirit lovers throughout the United States. The familiar Wildman Oval—created by the Colonel and present on every bottle that the company imports—has remained constant and is still consistently recognized worldwide as a symbol of quality. Vidal-Fleury Joins the Wildman Family! October 21, 2016—Frederick Wildman and Sons, Ltd., is proud to announce its appointment as national importer for famed Rhône producer and grower, Vidal-Fleury. Founded in 1781 from its vineyard in Côte-Rôtie, Vidal-Fleury is the Rhône’s oldest continuing grower/négociant House firm. Thomas Jefferson’s visit in 1787 was its first contact with the United States; he called the wines “justly celebrated”. Guigal acquired the company in 1984, a logical union for the Vidal-Fleury and Guigal families, who had always worked together. Marcel Guigal’s father, Etienne, was the vineyard manager and cellar master, hired by Joseph Vidal-Fleury in 1924. When the Vidal-Fleury family decided to sell the House, as none of its heirs was available, it naturally turned to the Guigal family. As result, the company remains a family affair. Philippe Guigal, managing director of E. Guigal, noted “We have completely renovated the Vidal-Fleury winery, wines and brand. We intend to re-establish Vidal-Fleury to its rightful place as a leading producer from the Rhône Valley”. Guigal also noted “Vidal Fleury has been independent since my family acquired the firm in 1984. The wines, the brand and the distribution are unique to Vidal-Fleury and we not only intend to maintain this independence, we insist on it for the success of the company”. Guy Sarton du Jonchay, managing director of Vidal-Fleury, added : “Starting our collaboration with Wildman, we have reviewed our quality and style ; we are releasing new wines from Vidal-Fleury that are, as is said in the United States, ‘game changers’. We are looking forward with excitement to re-energizing our brand in the United States with our partner Frederick Wildman and Sons”. Importers of fine wines and spirits since 1934, the familiar Frederick Wildman and Sons, Ltd., oval is found on every bottle sold and is recognized around the world as a symbol of quality assurance. For more information on the new Rhône Portfolio wines., and all Frederick Wildman brands, please contact: Odila Galer-Noel @ (212) 230-0911 or o.galer-noel@frederickwildman.com. Visit facebook.com/frederickwildman. Notes to Editors: Bottle Images, labels and samples are available upon request. DOMAINE DE BONSERINE AND DOMAINE PHILIPPE & VINCENT JABOULET JOIN THE WILDMAN FAMILY! Frederick Wildman and Sons, Ltd., is proud to announce its appointment as national importer for Domaine de Bonserine and Domaine Philippe and Vincent Jaboulet. The new Rhône additions are part of Wildman’s plan to build a portfolio of Rhône-area family domains covering well-known appellations from North to South. Domaine Philippe and Vincent Jaboulet was born in 2006 after the sale of Paul Jaboulet Aîné to the Frey family. Philippe, who previously managed Jaboulet’s vineyards and grape purchasing, retained 32 acres most notably from a parcel of the original ‘Thalabert’ vineyard in the Crozes-Hermitage appellation. They have since added 37 acres to the newly-formed domain and have renamed the Thalabert parcel “Nouvelère” to commemorate the ‘new era’. The domain owns other vineyard holdings in Crozes-Hermitage; produces red and white Ermitage wines (the latter made from 100% Roussanne grapes), as well as a Cornas from a plot of 1.7 acres. The domain has received the HEV (High Environmental Value certification from the French Ministry of Agriculture, a recognition of the domain’s efforts to respect environmental practices. In the town of Vereney, northeast of Ampuis and known for Côte-Rôtie wines, lives Domaine de Bonserine, an estate founded in 1962 and purchased by the Guigal family in 2006. 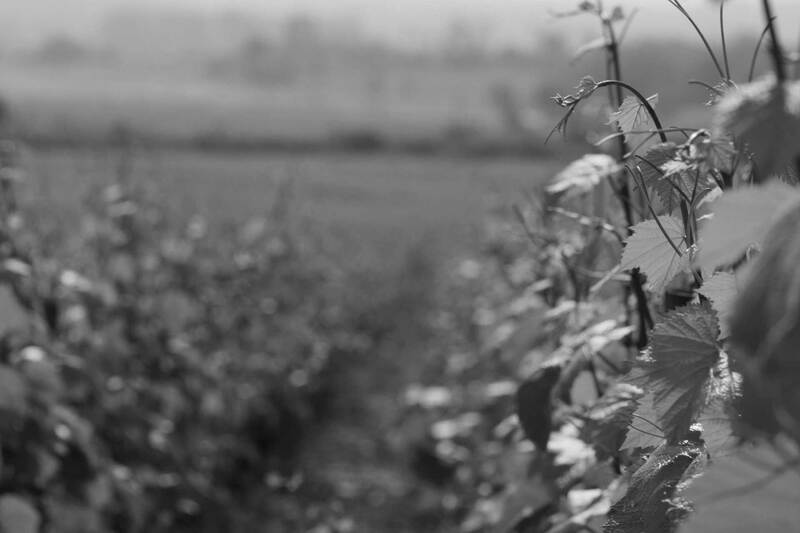 Independently operated with its own winemaking, commercial and logistics teams, the domain specializes in Côte-Rôtie (27 acres in both Côte-Blonde and Côte-Brune) and Condrieu (about 2.5 acres). All vineyard work at Domaine de Bonserine is conducted following sustainable practices—no herbicides, chemicals or pesticides are ever employed. Three wines from Côte-Rôtie, and one Condrieu are produced by Domaine de Bonserine. Both Domaine de Bonserine and Domaine Philippe and Vincent Jaboulet wines are available through Wildman’s network of distributors throughout the US. Frederick Wildman and Sons, Ltd., is pleased to announce the appointment as national importer of Lungarotti wines from the Umbria region. The addition of this prestigious and iconic family property to the Wildman portfolio complements the highly regarded Italian Estates collection already sold by Wildman. Inspired by the passion for Umbria’s grape varieties, Giorgio Lungarotti decided to turn his family’s agricultural business in the 1950s into a specialized wine estate. Lungarotti is recognized for having campaigned for the creation of Torgiano DOC, one of the very first DOCs in Italy. The Lungarotti family owns two wineries, one in Torgiano on which they own approximately 600 acres, and the more recent one built in 2000, with holdings of about 50 acres in Montefalco. 2003 was the first vintage of the famous Sagrantino DOCG, one of Italy’s most characteristic indigenous grape varieties. As of 2014, the estate is organically certified and is a leader in the use of sustainable practices. The estate presently run by Chiara Lungarotti (CEO) and Teresa Serevini (Enologist), is considered one of Italy’s most successful female-powered companies. Their mother, Maria Grazia focuses her time running the Lungarotti Foundation, a world-renowned museum of wine artefacts collected by the family since 1974, as well as the Olive and Olive Oil Museum created in 1990. The new partnership between Lungarotti and Frederick Wildman and Sons, ltd., is an exciting addition to 2016 and a move towards many more years of building Wildman’s Italian estates portfolio. Old World Traditions with New World Purity from the Barossa Valley! Frederick Wildman and Sons, Ltd., is proud to announce its appointment as national importer for Hewitson wines from the Barossa Valley, Australia. The addition of this young family-owned winery to the Wildman family blends perfectly with the rest of the expansive portfolio that caters to a demanding traditional, as well as, “New World” wine enthusiast. Family member and winemaker, Dean Hewitson completed his degree at Australia’s world-famous Roseworthy Agricultural College in 1986. After traveling throughout France and working vintages in Bordeaux, Burgundy, Champagne and Provence, to name a few, Dean went on to complete his Masters in Winemaking from UC Davis, California and then immediately immersed himself in the winemaking of wines from Santa Barbara, Napa and Sonoma as well as Oregon and Washington states. Hewitson wines are almost exclusively made from single vineyard sites and are all vinified at the winery. The mourvèdre vines found at Hewitson date back to 1853 making them the oldest in the world! Soon to open will be a ‘cellar door’ (tasting room) and accommodations offering a true winery and vineyard experience in the heart of the Barossa Valley. “I am having the time of my life working with family and bringing the family roots to the business”, explained Dean Hewitson. “All of our wines have some family connotation, such as our ‘Lulu Sauvignon Blanc’, named after my wife; ‘Ned and Henry’s Shiraz’, named after Ned and Henry Hewitson (Dean’s sons), and ‘Miss Harry’, named after Harriet Hewitson, his daughter. A family business to be proud of and working with Wildman means family,” continued Hewitson. The full line of Hewitson wines is available through Wildman’s network of distributors throughout the US.